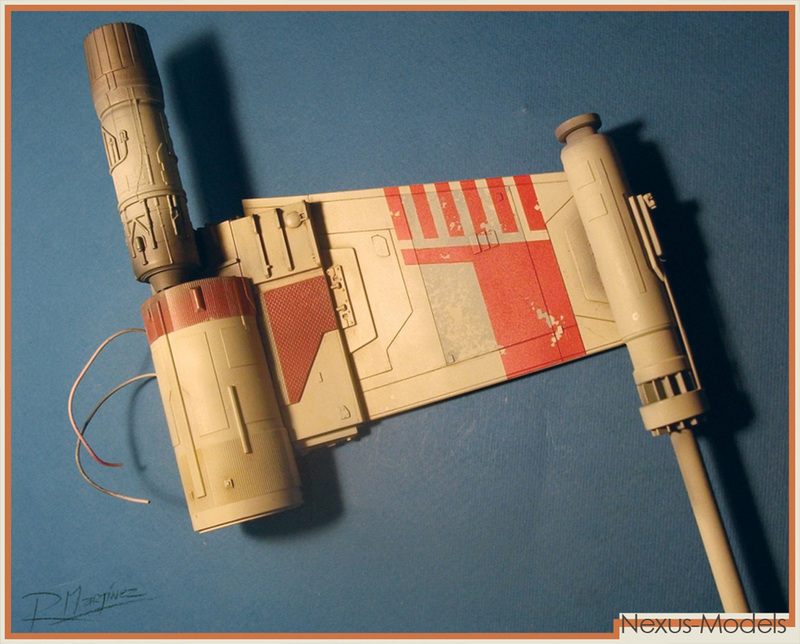 Red Squadron's Red 6 X-Wing was piloted by Jek Porkins, in the final trench run battle that ended with the destruction of the Empire's Death Star. 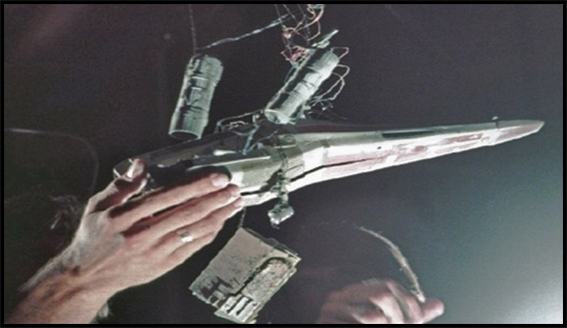 You may all remember him as the fat pilot in Star Wars, the first shot down when his X-Wing Starfighter was struck by debris, leaving him with several mechanical and computer malfunctions, and then hit by Empire turbolaser fire. 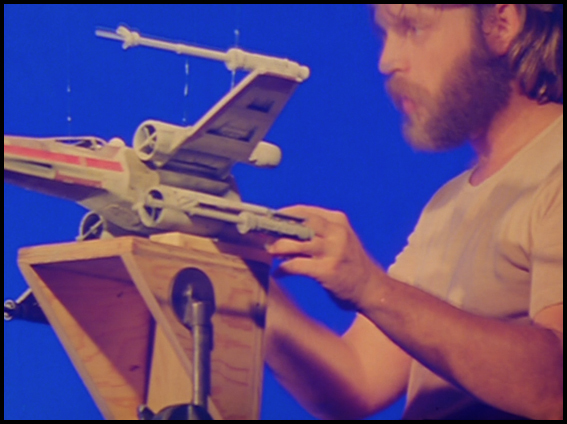 What you never saw on the film is the color scheme and markings belonging to Jek Porkins' X-Wing: the ILM Red 6 filming model. 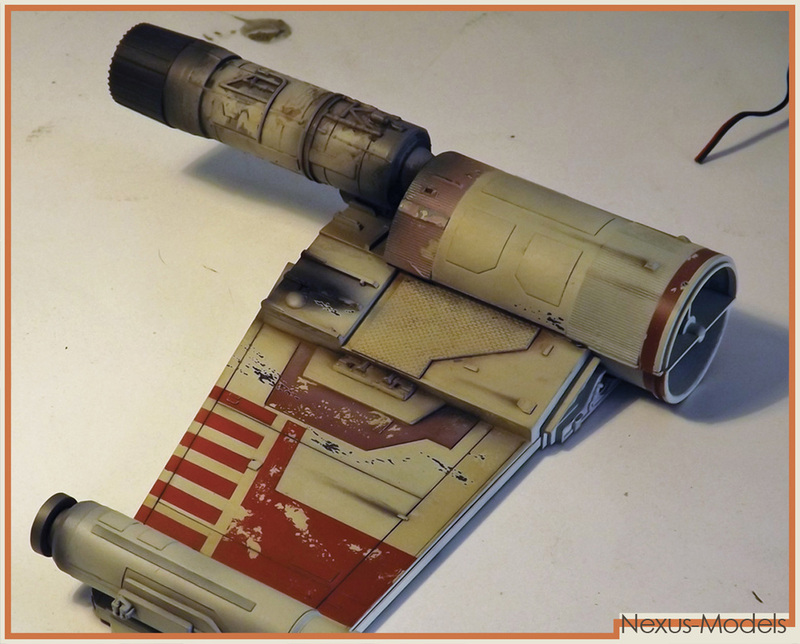 The model was very nicely painted, having one of the most rare color schemes of all the X-Wings in Red Squadron. 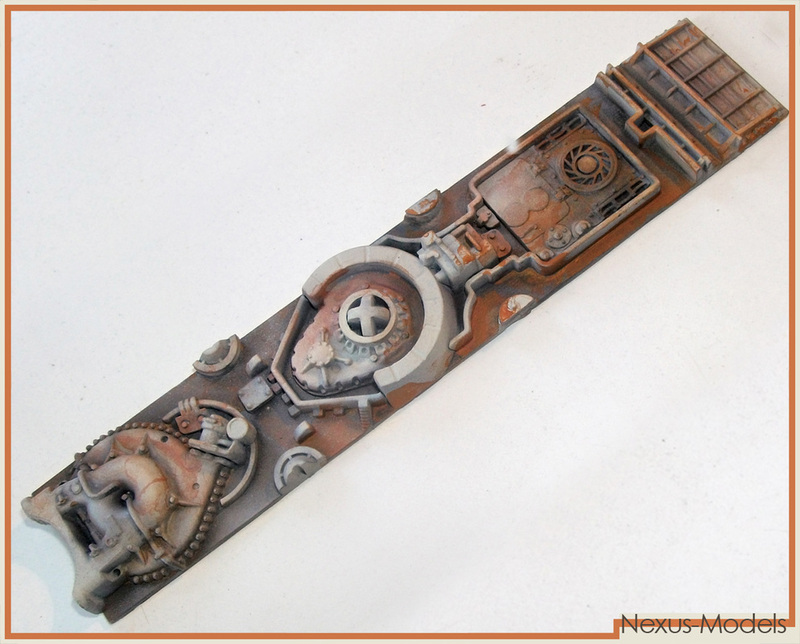 The Red 6 Model was a Pyro model, the models doomed to be blown apart by the Pyro technicians. This was the fate of the Red 6 X-Wing and unfortunately, its explosion was not good enough to end in the film. 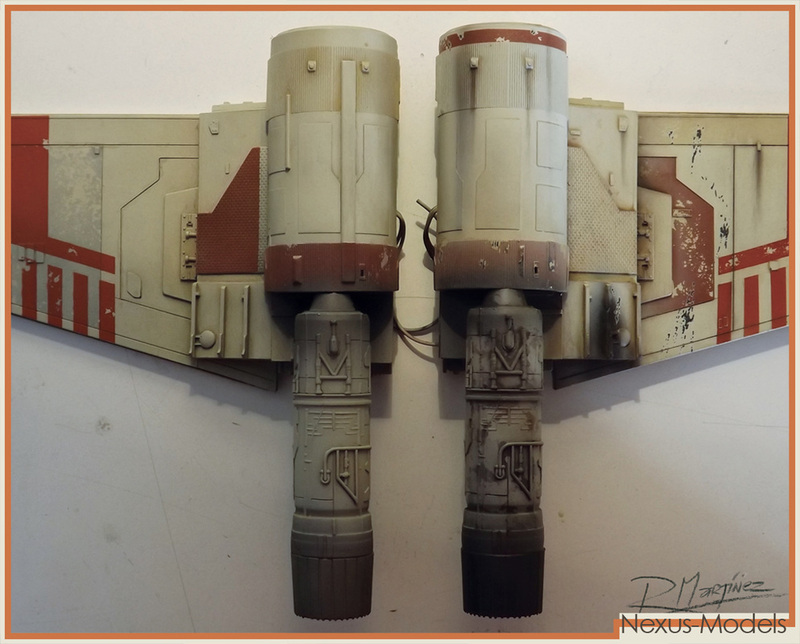 Thanks to the making-off videos and books I have managed to gather enough reference to try to paint a Red 6 X-Wing. 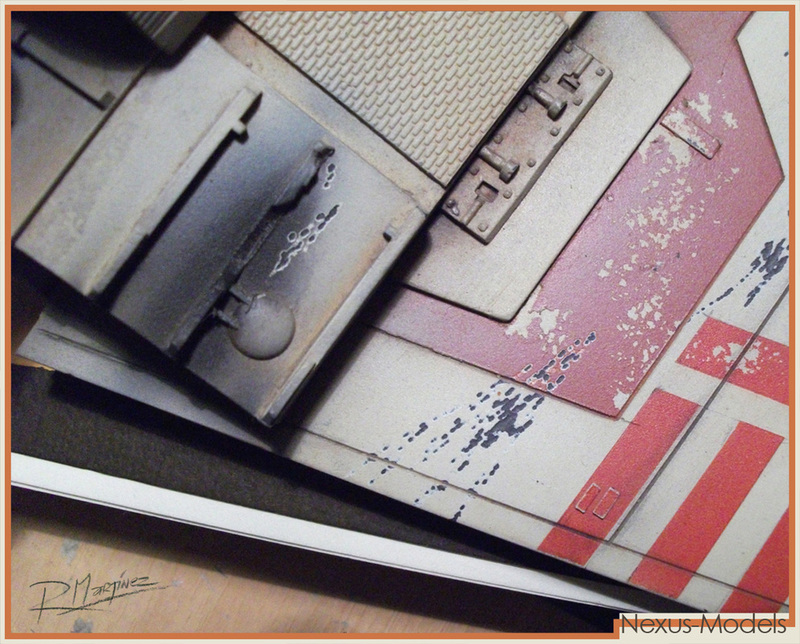 Although I know it is impossible to make an exact replica of the color scheme of the Red 6 model with the limited photographic reference I have, I think I have enough reference to make an attempt to paint Porkins' Starfighter. 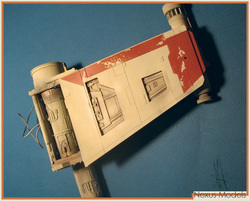 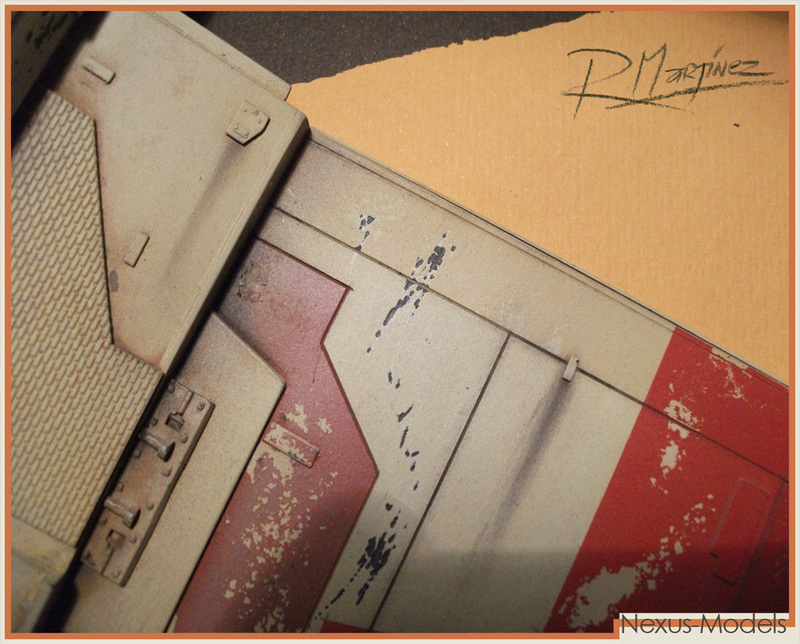 I hope that there is more info on this X-Wing model hidden in Lucas Archives, and that it might emerge one day. Preparing RED 6 for pyro shot. 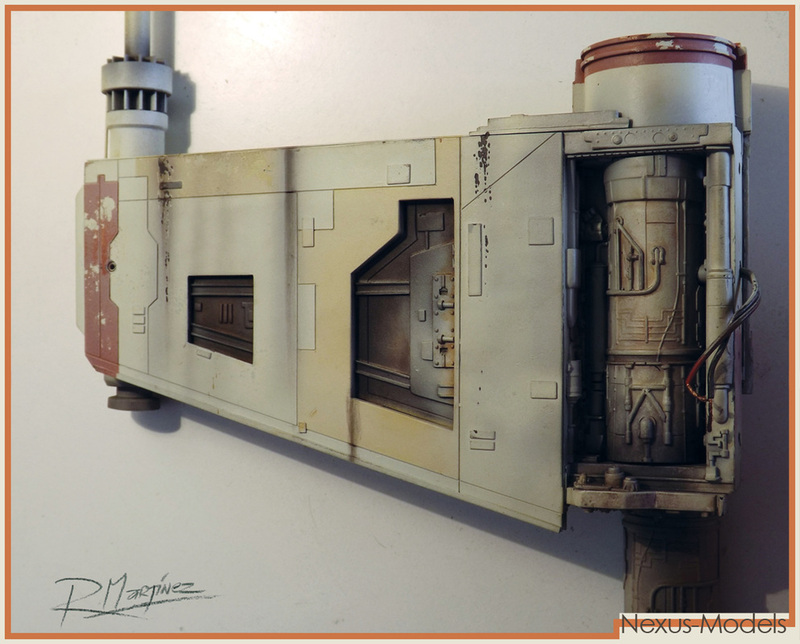 What's left of Red 6 after the explosion.